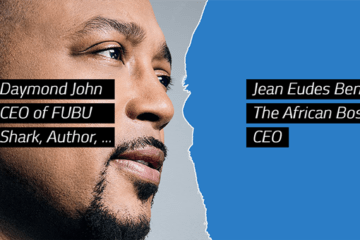 Those were the thoughts that were flowing in my head as I rushed fast on the highway that Sunday, March 11th, trying to meet Daymond John (DJ), CEO of FUBU, CEO of The Shark Group, Co-Star on ABC’s Shark Tank, as I had finished working on The African Boss TV first video. Before going to see DJ, I had just finished video shooting and editing the video. You might not already know this but just like most activities in my company, The African Boss, I do them by myself to understand how it all works so I can effectively delegate activities when time comes for The African Boss to have employees. I also want The African Boss to be inspirational and motivational through sharing entrepreneurs and businesses success and failure stories. 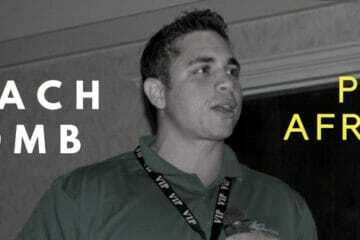 I strongly believe and am proving that if someone else can achieve greatness and be impactful, why not you and I? So for the first time in my life, I had finished shooting a ‘professional’ video and I needed another win. The African Boss journey that started about 4.5 months ago. During this time, I have developed my first and company website, written and designed my first magazine, and had just filmed and edited a video. This is something to expect when you first start your company. You have to learn fast and keep your company going. “That’s Daymond John from Shark tank”, I replied. And we both went to find a chair to sit at the round table where around 12 people were sitting, asking questions and listening to him. But we only saw one chair left so I rushed fast to grab it because I was not going to make that whole trip only to be stopped there. So the other guy, unable to find a chair, left. Now, I was sitting at the round table with Daymond John, who is renowned for turning FUBU, his urban-clothing brand with a 40$ in startup capital while serving shrimp and biscuits at a Red Lobster restaurant, into a $350M business empire as well as being a New York Times best selling author among other great accomplishments. He was going around asking people about their businesses and giving them advices. Eventually, since I had sat 4 people from his left, and he was going around the table clockwise, my time came to ask him questions. So Daymond John asked me if I was next since I had come in last and that caused a little confusion which caught the attention of a man on his team who was standing nearby where they were selling the books. He removed the chair I was sitting on and put it back where I had got it from. So I awkwardly left the table and went to the side wondering what had just happened. So I stayed around the corner and waited for the meeting to finish. During that time, I got to network with three other people who came in late and were unable to meet him. They were deciding whether to wait around or not. They ended up leaving but I stayed behind and waited to the end. 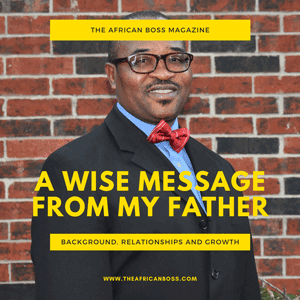 This magazine issue features stories of 13 people who helped The African Boss in a successful launch. It is because of these people and their help that I was able to start the company. Some of them have gone on with their lives but others still help to this day however they can. Make sure to check out this magazine issue. It finally came time when his staff was getting ready to wrap it up and he was sitting at the table talking to the last lady and signing her 10 books so I thought “It is now or never.” So I approached a person on his team and asked to buy a book. He asked another staff member if they still had any left and fortunately, I was able to buy a book granting me a final moment with Daymond John. So the staff member told me to go stand by DJ for a picture. And we talked a little bit and took it. Although I had gone through the awkward moment before but had not let that stop me from coming back, I still got to listen to some great advice from Daymond John, get this picture and story to share with you, and get his signed book Rise and Grind. Rise and Grind shares habits of multiple successful people that include Nely Galan, Kyle Manard, Kristina Guerrero, how they maximize their productivity and overcome obstacles to become the top in their fields. What are your thoughts on this encounter? How far would you go and how much would you spend to meet with someone influential such as Daymond John? And what are your thoughts on The African Boss TV first video. Leave your thoughts in the comments and subscribe for upcoming articles about businesses and entrepreneurs shared through The African Boss Media. We also welcome businesses and entrepreneurs’ stories so if you would like to share your story, please set up a time to go over your story. Learn more about The African Boss mission in this short 30s video below.